We are an established eco-friendly mobile oven cleaning company with professionally trained technicians who will do the job you hate to a very high standard. We clean ovens, hobs, cookers, ranges, agas, rayburns, extractors, shelves and trays, we take great pride in our work and leave every customer satisfied. We will deep clean your oven removing all traces of grease,fat and burnt on carbon removing all dirt that can be seen and the dirt that cant leaving your oven in a near showroom condition! We only use enviromentally friendly non-caustic, non-toxic products with no fumes leaving your home safe for you and your children and pets. Your appliance is safe to use immediately after we leave! We also replace bulbs and extractor filters in your appliance as required. All our staff are fully trained, punctual and professional. We are members of the Association of Approved Oven Cleaners! 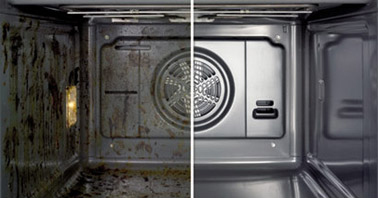 Find out more about our Oven Cleaning Services. Book our Oven Cleaning Services online now. Our website address is: https://scottishovencleaning.co.uk. scottishovencleaning.co.uk is provided by Scottish Oven Cleaning The data controller for Scottish Oven Cleaning is Scottish Oven Cleaning. A data controller determines how and why personal data is processed. The legal basis for processing this data is to perform a task in the public interest that is set out in law and is statute based. The data we collect may be shared with supplier organisations, other government departments, agencies and public bodies. In general, this means that we will only hold your personal data for a minimum of 1 year and a maximum of 7 years. Our services are not designed for, or intentionally targeted at, children 13 years of age or younger. We do not intentionally collect or maintain data about anyone under the age of 13. We design, build and run our systems to make sure that your data is as safe as possible at any stage, both while it’s processed and when it’s stored. If you have any of these requests, get in contact with our Data Protection Officer. scottishovencleaning.co.uk contains links to other websites. If these changes affect how your personal data is processed, Scottish Oven Cleaning will take reasonable steps to let you know. Our skilled technicians will come to your home at your convenience and provide you and your oven or cooker with an excellent service. Approximately 2 hours will deep clean your oven, hob, extractor and microwave using non toxic friendly products! Your appliance will be left like new! Your oven will be carefully dismantled all the parts can be cleaned in our heated dip tank in our specially equipped vehicle! Completely mess free and your appliance is ready to use immediately! Due to the size Aga's and ranges take approximately between 3-4 hours to clean to our high standard! Fixed price for each item no matter how dirty! We can provide you with a reminder every 6 months by letter or email to have your appliance cleaned as recommended! Have any four appliances cleaned to recieve 10% discount! 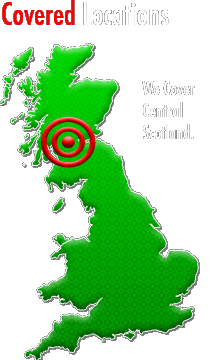 Find us on facebook© 2009 - 2019 Scottish Oven Cleaning | All Rights Reserved.